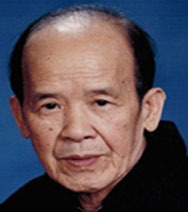 Zheng,Biao, 93, of Cranston, passed peacefully Saturday, November 28,2015, at home with his family. Born in Canton, China he came to the United States in 1991. He was the husband of Hui Zhen. Mr. Zheng was a cook with the Chinese Olympic Training Center in China for over 40 years before retiring in 1980. Besides his wife he leaves 3 sons; Kam Seng Cheng of Vancouver, Canada, Wing Chong Cheng and Jin Sua Zheng both of Cranston, a daughter Jin Yi Chik of Honalulu, HI, 6 grandchildren and 2 great grandchildren. His life will be celebrated with calling hours Friday, December 4, from 8:30am to 10:00am. Burial will follow in Swan Point Cemetery.